Purple Haze, rare Frogman Bronze from artist Tim Cotterill. 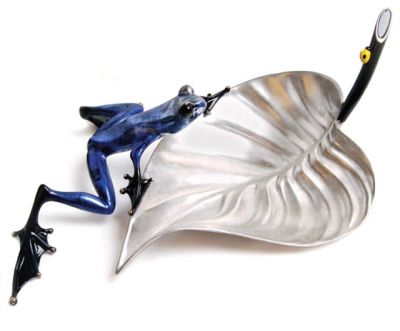 A relaxed purple-blue frog perches on a silver leaf. Purple Haze is a rare Frogman Bronze now available at Westover Gallery. This solid bronze frog sculpture is an Edition Variation of Temptation. 4.5 x 15 x 9.5"